Shortarmguy's Crazy Emails: Interesting Letter to the Editor - What Has America Become? 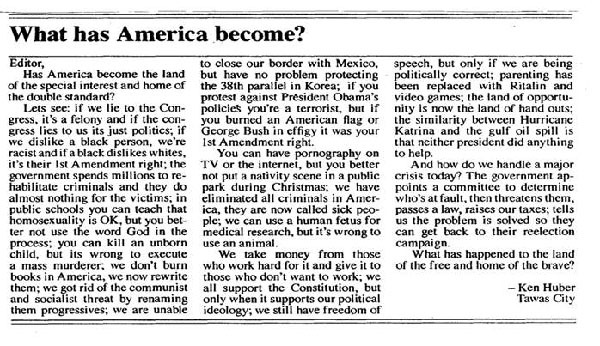 Interesting Letter to the Editor - What Has America Become? Say it like it is, Ken Huber!